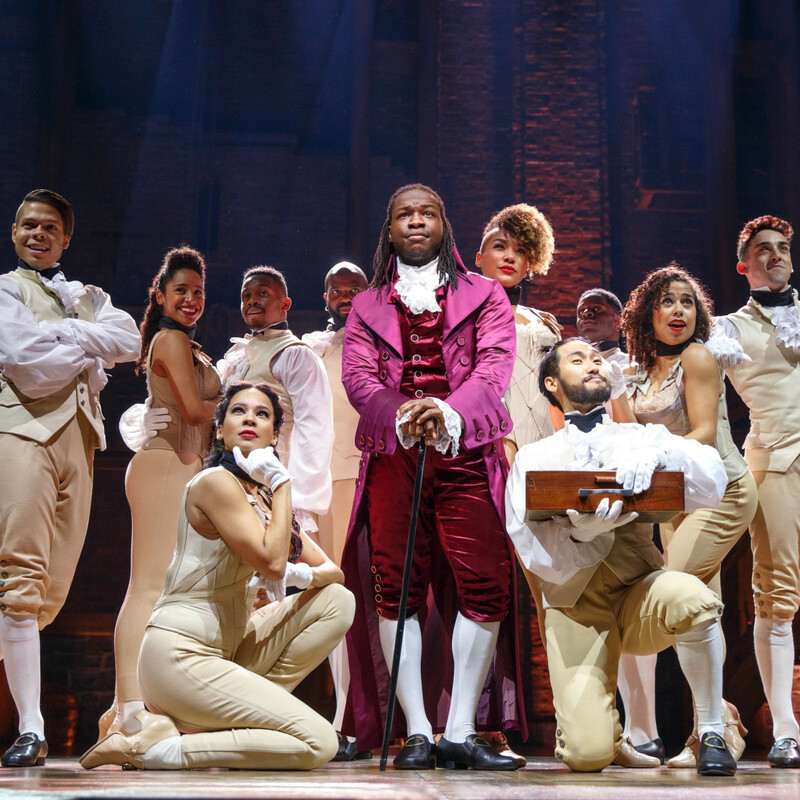 Thanks to America’s first treasury secretary and Lin-Manuel Miranda, the hottest ticket in town in 2018 was a theater ticket. 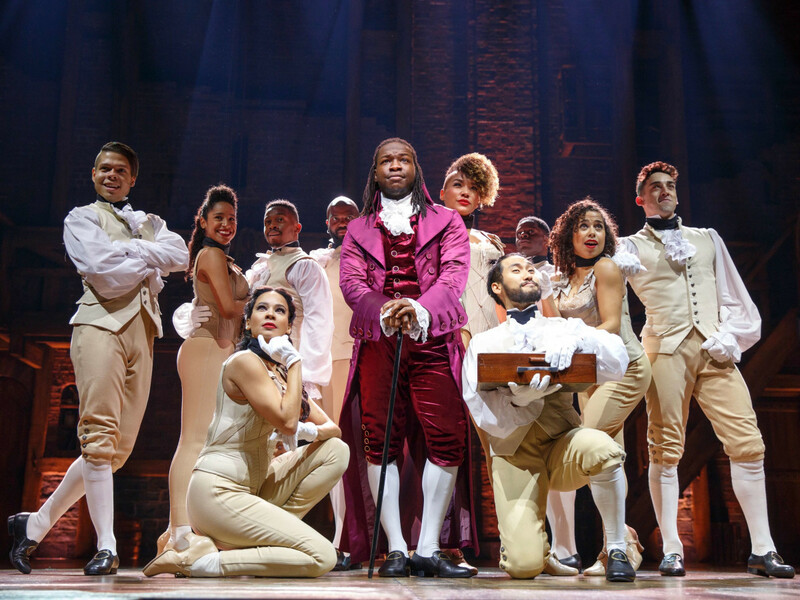 While Hamilton could only remain for about a month to show us all how hip (hop) a musical can be, our own local theater companies were not going to waste their shot to remind us of all the performing and behind the scenes creative talent Houston possesses. 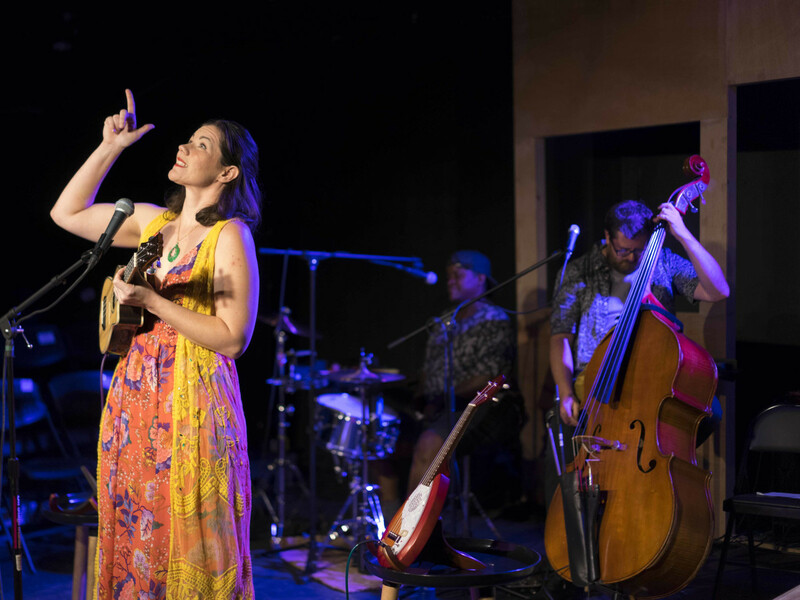 Here’s a look back at some of the great, live moments of drama, comedy, and performance art on Houston stages in 2018. 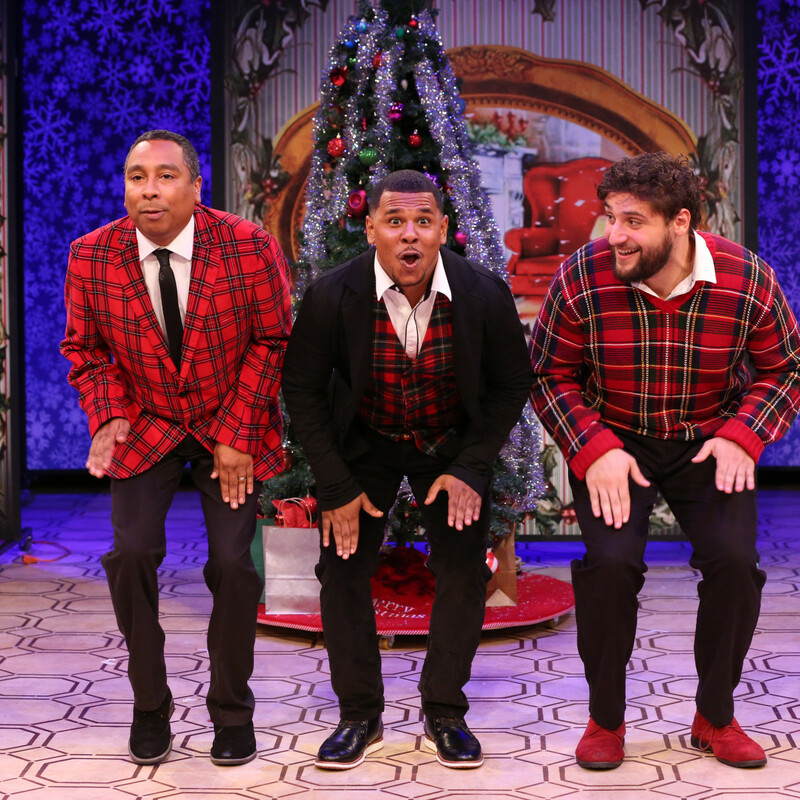 This Stages Theatre holiday romp with a touch of satire called for cast Ronnie Blaine, Joseph "Joe P." Palmore and Gabriel Regojo to do a bit of slapstick, improv, and general extreme madcap acting. 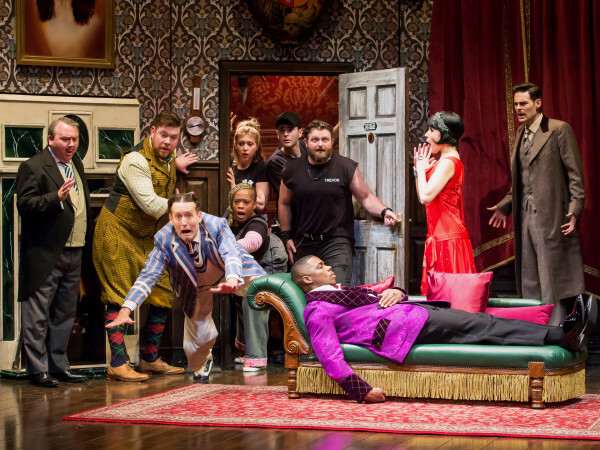 But the secret gift of Ultimate came for audience members who had caught any of the trio in other shows this year. Blaine had just finished a terrific turn playing sleazy lawyer, but possible the last sane man in Catastrophic’s Curse of the Starving Class. Regojo owned the role of a true believing high school teacher learning a lesson of survival cynicism in Rec Room’s Exit Strategy. Meanwhile, Palmore is likely in direct competition with himself for performance of the year, first as an actor too deep into a part in Stages’ We Proud to Present and then as a death row inmate in 4th Wall’s Jesus Hopped the A-Train. 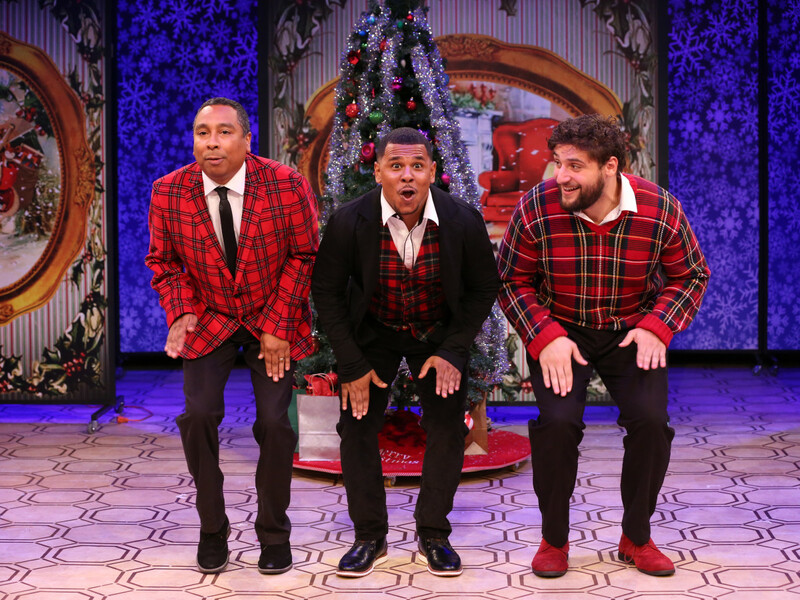 But, put these guys in loud Christmas suits and some tinsel and they’re ready to go deep to find their inner silly, proving they’re home to some vast range. 2018 was a year many a production broke away from some of the traditions of casting. In fact for The Main Street Theater’s stellar Men In Boats, playwright Jaclyn Backhaus requires no male actors play those men in boats. Coincidently, that production’s director, Philip Hays, who also happens to be an actor, took a comic yet sweetly poignant spin across the ballroom floor as forgotten sister Mary in 4th Wall Theatre’s Pride and Prejudice. And while the love stories still rocked the boat in TUTS’s Latin-inspired reimagining of the ’50s classic, after seeing Cheyenne’s performance as the gangster with the big heart and gun Big Jule, what I really want is the musical prequel chronicling Jule’s rise to power in gangland Chicago. 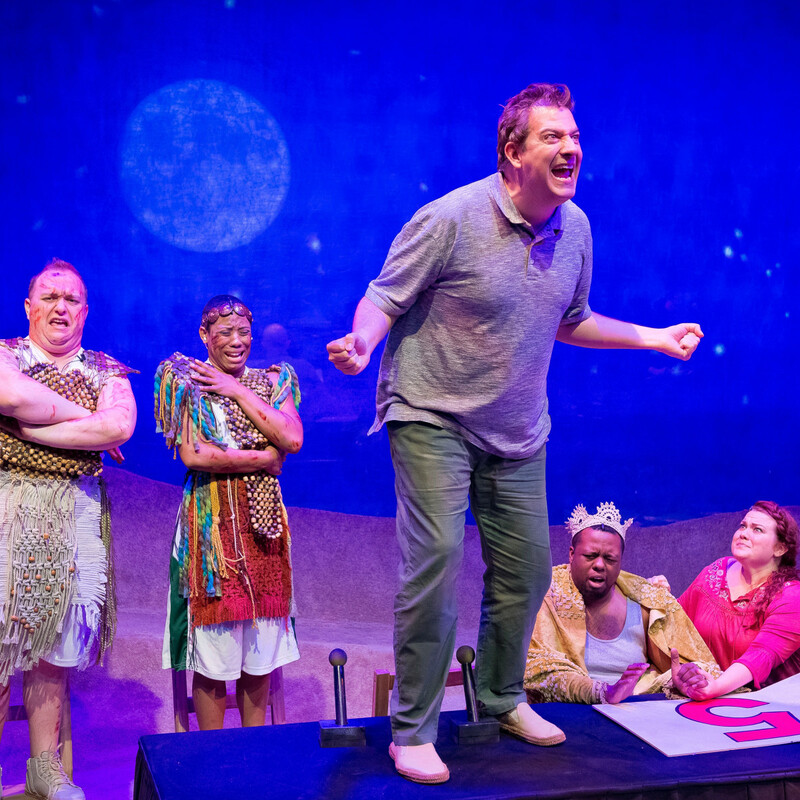 Daryl Morey, one of Catastrophic Theatre’s most knowledgable devotees of musical theater (who, oh yeah, is also general manager of the Houston Rockets), commissions and produces an absurdist musical about a Lilliputian basketball team. With book and lyrics by one of Catastrophic’s favorite playwrights, Mickle Maher, music by local composers Merel van Dijk and Anthony Barilla this sports underdog and star-crossed love story musical, with the majority of the numbers occurring during press conferences, should have collapsed in the density of its own onstage bizarre premise and offstage unique origin story, but somehow it became a slam-dunk of the season. Only in Houston. Every single coat, jacket, and pair of shoes in TUTS’s production of The Wiz. (Give them to me now!) And while we’re at it, I demand an entire Wiz fashion line from costume designer Dede Ayite. 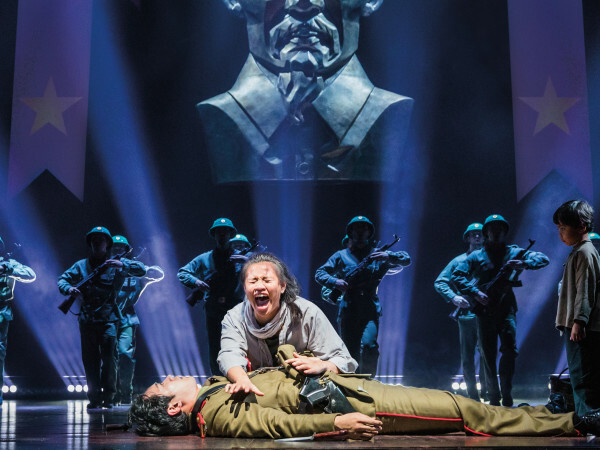 While we love the touring shows presented by Broadway at the Hobby Center, occasionally one of our home team theaters decides another company’s work is so special, Houstonians deserve the chance to see it without booking a flight to New York, the UK, or Canada. Such was the case again this year when Main Street Theater brought in Macbeth Muet from the Montreal mobile theater company La Fille du Laitier. Using mostly kitchen items (sans sink) as props, two actors create an epic, yet only 50-minute, rendition of Shakespeare’s MacBeth without ever speaking. Both hilarious and filled with great pathos, I’ve never felt such empathy for a dozen raw eggs and an oven mitt before or will likely again. 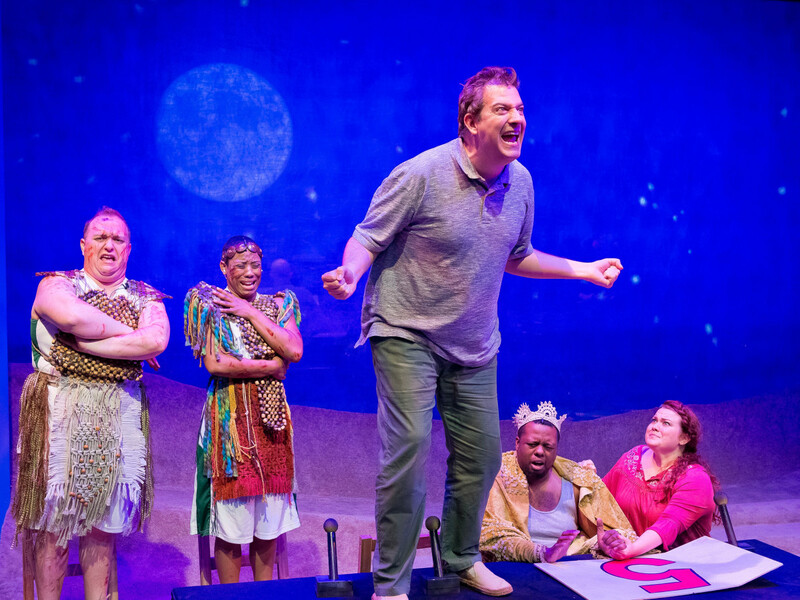 Mildred’s Umbrella outstanding production of Lisa Kron’s Well and Catastrophic Theatre’s world premiere of Chana Porter's First Suburb showed that a playwright’s biggest critic is sometimes her own characters. 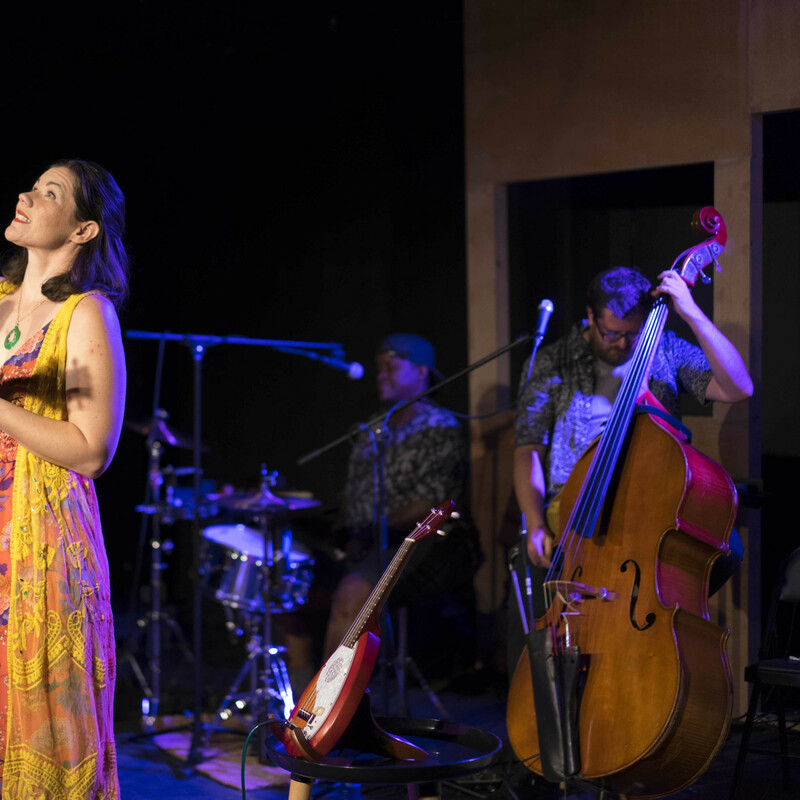 The title and last song in Young Jean Lee’s play that’s disguised as a cabaret performance became a life-and-death-affirming sing-along that we’re all in this death journey together so we may as well hold tight, accompany each other on the kazoo, and keep on playing. 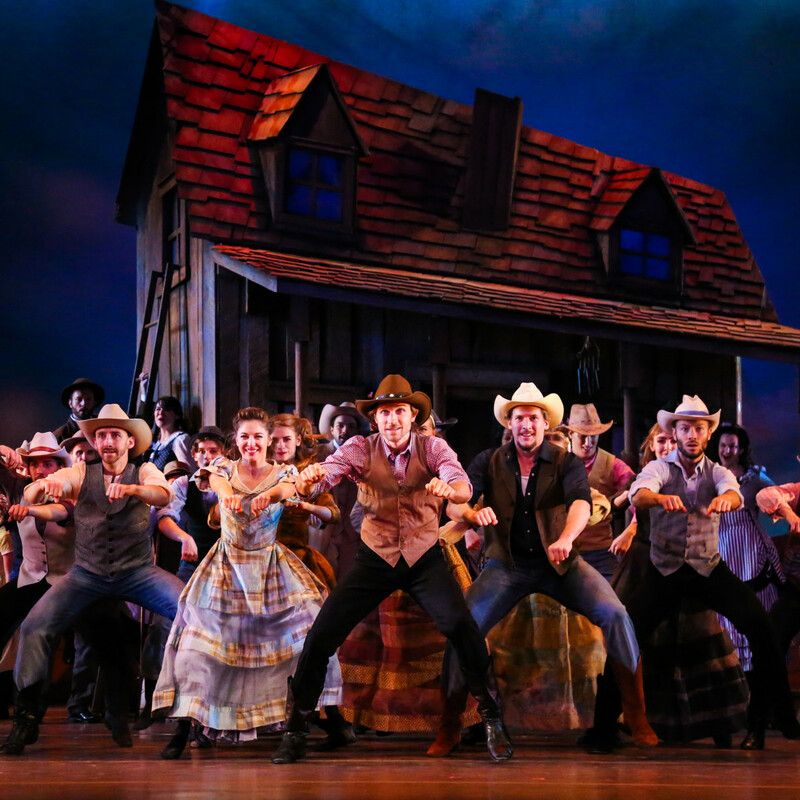 We knew going in that this production would have resonance beyond a local theater company reviving an old standard when TUTS’s newish artistic director Dan Knechtges chose the Rodgers and Hammerstein classic celebrating its 75th anniversary as the opening show of TUTS’s 50th anniversary season. But then came word that TUTS would bring in the still-homeless-after-Harvey Houston Ballet for the production and that HB artistic director Stanton Welch would choreograph. 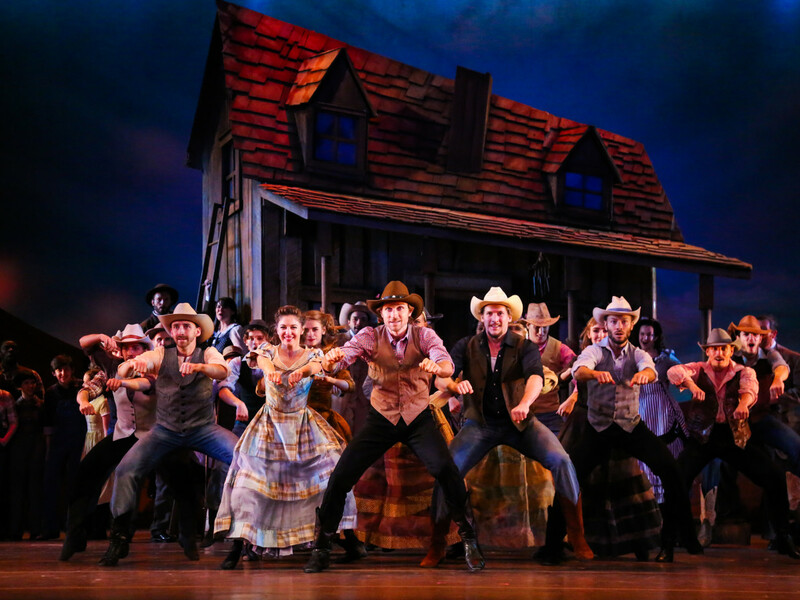 Directed by Dallas Theatre Center’s Kevin Moriarty, this very Texas-centric Oklahoma was magical from the first notes of the overture. But when the whole, very diverse cast from Houston, New York, and beyond of actors, singer and dancers, as well as students from both TUTS and HB’s academies, stood in the footlights to belt-spell this song about diverse groups coming together to create a state, it felt like they were really singing about the resilience of the Houston performance art community.